Google has been busy plastering London town with ads for its new Chrome browser in recent weeks, with the latest news – that Chrome is now more popular than Apple's Safari internet browser – seeming to prove that advertising does actually work. NetApplications claims that Chrome has 4.4 per cent of the worldwide browser market, after Internet Explorer and Firefox, and that Apple's Safari fractionally only has a mere 4.37 per cent. NetApplications put Google Chrome in the third-place spot after Internet Explorer and Mozilla's Firefox for the week of December 6 through to the 12. 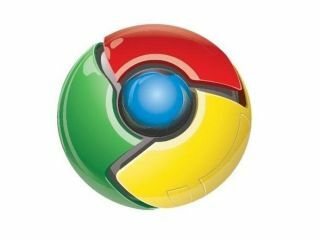 The news follows the release of new beta versions of Chrome for Mac and Linux lauching earlier this month – with stable versions of both arriving on January 12 2010 according to Google's Chromium development calendar. Still to try out Google Chrome? Why not check out the Chrome for Christmas site and send invitations to all your friends and family to try it out too. A little early (and free) Christmas pressie from you to them!